Tag line: "Don't Lose Your Way"
Commissioned by the Vatican, Deacon (Gordon Kennedy), a Scottish priest; and Gray (Robin Hill), a tech-savvy researcher, travel to a small village in Western England to look into claims that a miracle has occurred at the local church. Several days later, the two are joined by the third member of their team, Father Mark Amadon (Aidan McArdle), and, with each wearing a headset camera (to ensure everything is documented), they make their way to the church in question, where they’re met by the Parish’s lone priest, Father Crellick (Luke Neal). It was Father Crellick himself who reported the so-called miracle, which occurred during a Christening ceremony, and after reviewing video footage of the event, the 3 investigators set up cameras, microphones, and other gadgets inside the church, all in an effort to discover if the miracle was, in fact, genuine. At first convinced that Father Crellick has somehow manufactured the whole thing, the trio soon learns there’s more to his claim than simple trickery. Released as The Borderlands in its native UK, writer / director Elliot Goldner’s Final Prayer is a found footage horror film that bucks the trend by favoring character and story over mindless jump scares. In fact, one of the movie’s best attributes is the relationship that develops between its two main characters, Deacon and Gray. Due to their very different personalities (Deacon is a quiet and introspective man of the cloth, Gray is a talkative, wise-cracking agnostic), they don’t hit it off initially, but during the few days they spend together before Father Mark shows up, they foster a mutual respect for one another (a scene where the two are sitting in a pub, discussing God and the church, is a definite highlight). Equally as interesting is how the three researchers approach the investigation. After watching the video of the Christening (during which a few incredible things occur), Gray, the least experienced of the group, is sure that Crellick is telling the truth. Deacon and Father Mark, on the other hand, believe that the priest is simply trying to boost the attendance at his church by claiming something miraculous has happened there. Despite being men of faith, the priests are also skeptics bound and determined to expose Father Crellick as a fraud. Deacon, who had a bad experience during a similar investigation in South America, is especially cynical, going so far as to tell Gray the miracle cannot possibly be real, that it isn’t a matter of “if” they’ll discover it’s a hoax, but “when”. Thus far, I’ve made it sound like Final Prayer is nothing more than a talky, dramatic exploration of faith vs. reality. Not to worry, though, because in addition to its excellent character development and well-developed story, it’s also a very creepy motion picture. Several times throughout the movie, we’re treated to footage captured by a camera that Gray set up inside the church, which shows Father Crellick entering the building at night, only to be scared away by an unknown force. Though brief, these segments will get your pulse pounding, as will a later scene in which Deacon visits the church by himself, an experience that causes him to finally believe something amazing is going on. In each instance, director Goldner relies on mood and atmosphere to build a sense of impending doom that’s so strong it’s almost tangible. 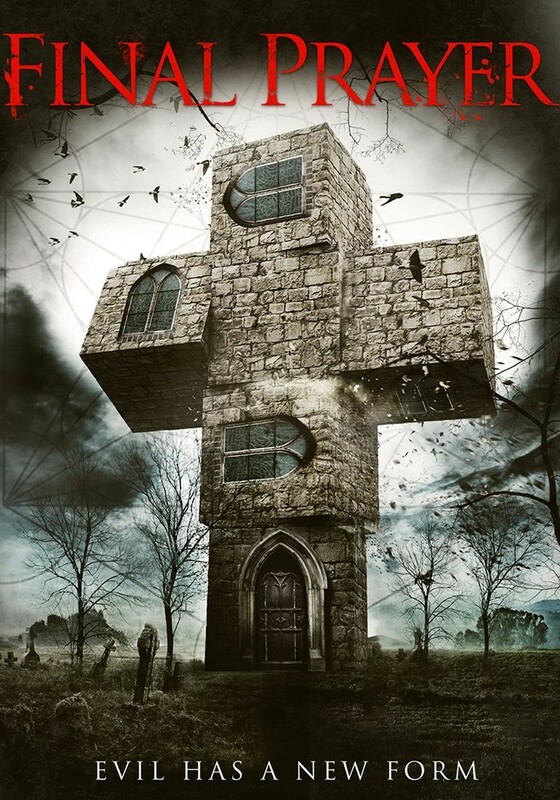 Well-acted and engaging from start to finish, Final Prayer is an intelligent, thought-provoking horror film, not to mention one of the most intriguing found footage movies of the last five years.